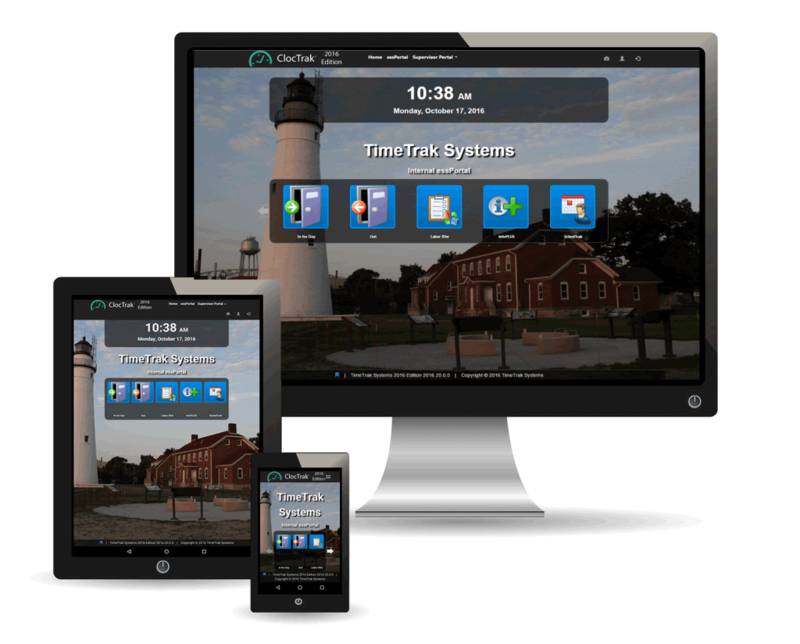 The browser-based Web Time Clock features a modern and intuitive user interface which automatically sizes itself to the user’s device, including Desktop PCs, Laptops, Tablets, and Mobile Phones. Standard timekeeping functions such as IN, OUT and LUNCH are supported, along with a variety of labor transfer options. Each button can have up to 9 levels of input, allowing for custom functions in which employees could even specify the number of hours or date of the transaction.